No subsidence in the last ten years? We can cover you! Signs of historical subsidence? No problem! Subsidence is usually covered under your buildings insurance. 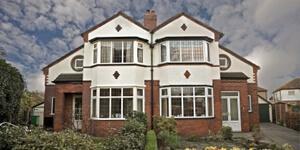 If you are searching for a new insurer then you may well have to contact a specialist insurance provider such as HomeProtect to obtain cover, since most standard insurers will refuse a property known to be suffering from subsidence. This is also the case for properties with a history of subsidence. On that note, if you are looking to buy a property then check the surveyor’s report for any signs of subsidence in the past. Learn what to do from spotting the first signs of subsidence to fixing the problem for good. What if you discover subsidence after switching insurance provider? The Association of British Insurers (ABI) has an agreement with all its members that if subsidence is identified within eight weeks of switching provider, your previous insurer has responsibility for handling the claim. To get a quote, find out about the building’s history including when the subsidence occurred. Details of any claims, particularly those related to the subsidence. Rebuild cost of the property. Approximate year of the building’s construction. Subsidence is the movement of a building’s foundations caused by the downward movement in the ground, usually after soil under the building dries and shrinks in hot weather, or when underground pipes leak and weaken the soil beneath the foundations. Damage often appears as cracks in the walls, ceilings and around windows or door frames. The most common cause of subsidence is the shrinkage of soils, particularly clay types, as moisture is extracted from them. Often this might occur as a result of tree roots growing under the property, which becomes more likely in extended periods of hot and dry weather conditions. Another common cause is drain leakage, where water escapes from underground pipes and washes away (or softens) soils so that they are no longer able to support the weight of the foundations. It can also occur as a result of a history of mining excavations beneath or around your home, so it is always worth checking for these before making a purchase. What is subsidence insurance coverage? Subsidence is the downward movement of the ground beneath a building which is not caused by the weight of the building itself. Most Buildings insurance policies include coverage against subsidence, however, cover limits vary between insurance providers and most are subject to a mandatory excess. 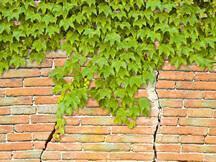 What is a subsidence claim? Subsidence is caused by ground movements which impact the building foundations, often resulting in cracks in the walls and ceilings. A subsidence claim is when you have experienced this type of damage to your property and have made a claim through your insurance provider for repairs.Your insurance provider needs to know that your property is unoccupied for 30 consecutive days or more so that they can factor these increased risks into your policy terms. What does it mean to underpin something? Underpinning means a solid foundation is laid below ground level to support or strengthen a building. This may be necessary due to subsidence, for instance, when the ground under a property moves and impacts its foundations. We had many refusals to insure because of historic settlement. HomeProtect has been easy to deal with and reasonably priced. No issues, no complaints and so far no claims. Our buildings cover includes up to £500,000 for insured loss or damage to the structure of your property or permanent fixtures. Get your home insurance with subsidence cover online now!